The following comment is re-posted by permission from Anderson’s blog, Understanding Islam Today. Many people totally unfamiliar with the Qur’an plunge into reading it, keen to understand one of the world’s most significant books. But they soon find it virtually impossible to follow. They can’t figure out who is talking to whom, they have no idea of the context, and the topics under discussion seem to change randomly also. As the frustration of these well-intentioned souls builds, they feel increasingly critical of what they’re reading and most give up, but with a very bad taste in their mouths. So common is this experience that it deserves some explanation. The big problem comes when people expect one thing of the Qur’an and encounter something quite different. 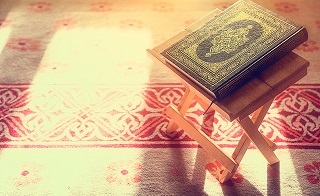 The fact is, while the Qur’an is very specific to its original audience and their circumstances, it gives the reader little help in understanding these things, assuming the reader’s full awareness of them. This makes it a very challenging read to people living half a world away and nearly 14 centuries later. Pondering this challenge, it occurred to me that there are five essentials to understanding the Qur’an, basic facts about it we as readers must either grasp or perish. First, the Qur’an declares itself to be the very Word of God, given to the prophet Muhammad* for him to recite to his people. Thus, it refers to itself as the “Recitation” (Arabic, al-qur’an) and adamantly rejects the notion that Muhammad* had input into its contents, allowing only that he transmitted it to his people. In keeping with this, the Muslim scripture is the compilation of his recitations alone and includes nothing framing those messages. Hence, it gives us nothing about their context (who is being addressed, when and where) beyond the few clues the recitations themselves supply. Second, since the Qur’an is “the transcript of an orally performed, open-ended” dramatic monologue, its every word is centred in Muhammad* and his struggle for the “Cause of God” in his native Arabia, as detailed by his recitations. And that is so, despite the Qur’an’s rejection of the notion that any part of its messages are the product of Muhammad’s mind or that he was divine. Couple the centrality of Muhammad* in the qur’anic recitations with the fact that they include only faint glimmers of their context, and it becomes vital for the reader to approach the qur’anic text with a basic knowledge of Muhammad’s prophetic career (610 – 632 CE) and its context. Otherwise, extracted from its implied drama and historical context, the qur’anic text is unintelligible and readers flounder blind in a sea of unknowing. Third, the Qur’an connects itself and its prophet with the biblical scriptures and prophets, as their completion. It views Muhammad* as concluding the chain of God’s prophets, a sequence that includes Adam, Noah, Abraham, Moses and Jesus, among others. And in keeping with this, the Qur’an makes two claims with respect to the Jewish and Christian scriptures. On one hand, it professes to confirm their truthfulness (Q 10:37, 12:111, 35:31, 49:29-30). On the other hand, accusing the biblical scriptures’ divinely appointed stewards – the Jews and Christians – of misinterpreting, twisting or ignoring them to some degree, it claims to stand as the guardian (Arabic, muhaymin, Q 5:48) of biblical truth. Fourth, proclaiming itself God’s perfect word and its messenger as both last in prophetic sequence and first in prophetic greatness, the Qur’an effectively asserts that it is God’s final message to humankind. That is, Muhammad’s being last in the chain of prophets means he was not less, but rather more important than all of his predecessors – Jesus included – since it was to Muhammad* that God gave “the last word.” And the Qur’an’s ultimacy was something the Muslim community understood from the start. This means that, besides bringing Muhammad’s story and its context to the qur’anic text, readers will also find a chronological ordering of its suras vital. That’s not to say that the Qur’an’s suras need to be read in chronological order. But we will only understand the Muslim scripture to the degree that we keep in mind the two periods that defined Muhammad’s prophetic career, Meccan and Medinan. Again, this points to our need of the traditional Islamic origins narrative, which the Qur’an doesn’t supply. So if you want to read the Muslim scripture (or perhaps return to reading it after a negative experience), remember that it claims to be the very Word of God, yet we can’t understand its contents without some awareness of Muhammad’s prophetic career, around which they’re centred. While its recitations aren’t ordered chronologically, we can’t understand their context or meaning without having some sense of each sura’s place in Muhammad’s story either. The Qur’an views itself as both the confirmation and the guardian of biblical truth and Muhammad* as greater than all of his predecessors – Jesus included – since God gave his last word to Muhammad,* a word never to be superseded. Grasping these five points is essential to understanding the Qur’an. And I believe virtually all Muslims would agree with me here. Angelika Neuwirth, The ‘Late Antique Qur’an’: Jewish-Christian Liturgy, Hellenic Rhetoric and Arabic Language (lecture, Institute for Advanced Studies, Princeton University, June 3, 2009) accessed October 12, 2013. 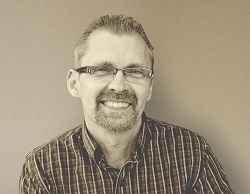 Mark Anderson is an author and lecturer on Islam, the Qu’ran and Muslim-Christian dialogue. He has an MA from McGill University in Islamic Studies and another from Westminster Theological Seminary, plus years of experience living in the Arab world. His passion is to help people understand Islam and the challenges facing Muslims and Christians today in a way that is fair to both and to foster Muslim-Christian dialogue. Mark lives with his wife and family in Vancouver. 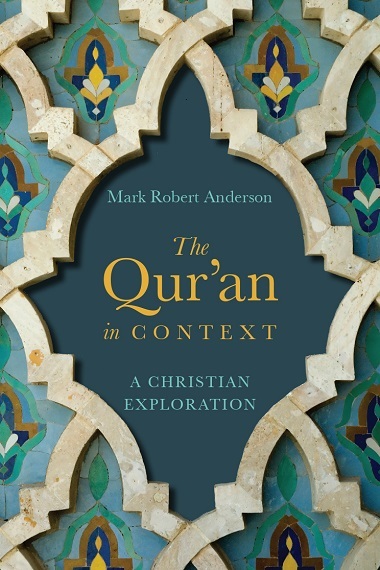 Mark, this is clear and helpful input for Christians to understand the self-understanding of the Qur’an. Have you written something similar to help Muslims understand the Christian-Jewish understanding of the Bible? The two articles, side by side, could be very helpful towards the goal of Muslim-Christian dialogue. Perhaps the pairing already exists . . .? Thanks, Murray, for the excellent suggestion! I do have that in mind to do when time allows.